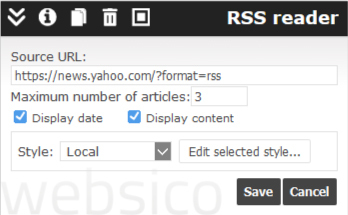 The RSS reader component allows you to include RSS feeds selected from a blog or a website. A comedian tipped to take over Ukraine's presidency and his incumbent rival go head-to-head in an extraordinary stadium debate Friday, as campaigning reaches its grand finale before a weekend vote. Some 60,000 spectators are expected to attend the first and only policy head-to-head of the campaign, set to take place in Kiev's Olympic Stadium amid beefed-up security. The debate will bring to a close a race that at times descended into farce as the candidates exchanged insults and underwent drug tests at Zelensky's insistence. If Congress punts, Trump could face obstruction charges from a future attorney general. The statute of limitations lasts until at least January 2022.